The problem occurs when a route-map is attached to an interface with only a “set” operation and no “match” (When there is no match specified there is an implicit “match any any”) OR when a match “any any” is used. 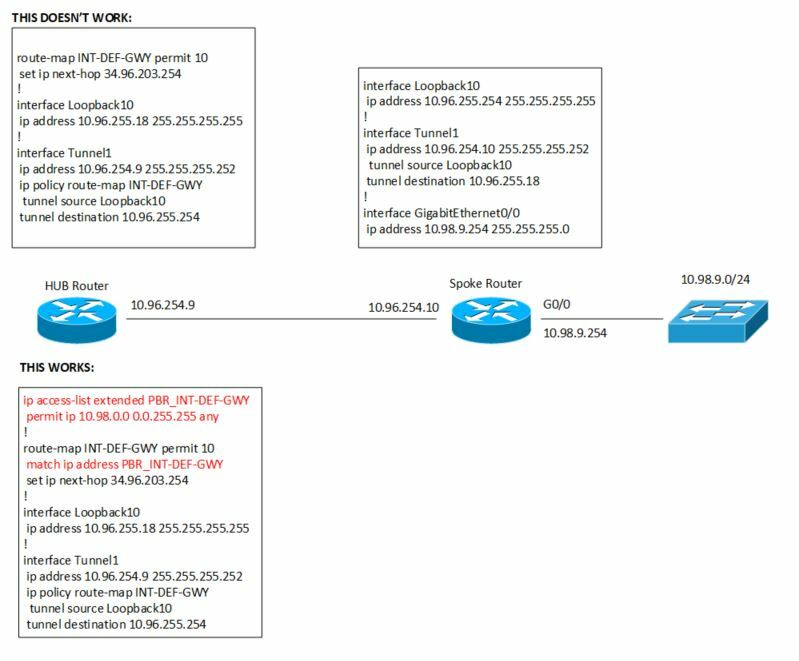 What we had to do is create an ACL matching the remote LAN (and ensuring that we excluded the tunnel and loopback interfaces). In otyer words you need to match the remote LAN or LANs. Thankfully you can summarize – you don’t need to match the LANs exactly.